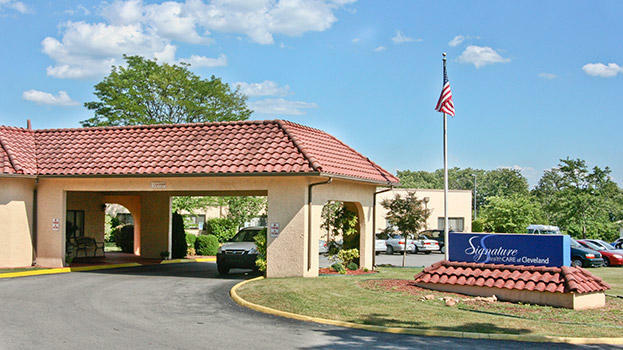 Located conveniently within a mile of I-75, Signature HealthCARE of Cleveland, a 100-bed skilled nursing and rehabilitation center, sits atop a small mountain and shares a panoramic view with an assisted living facility and several physician offices. Skyridge Hospital is located within minutes of our facility and serves the area with state-of-the-art services. Signature HealthCARE of Cleveland offers a warm yet elegant environment with a Mediterranean/European décor complete with fine furnishings, spacious dining room, grand piano, and lovely courtyards. 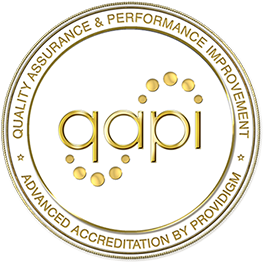 The comprehensive services include 24-hour skilled nursing, a fully equipped rehab gym, respite care, hospice care, long-term nursing services, and a fine dining program.